The Quickstep developed in the 1920’s in New York heavily influenced by Foxtrot and Charleston but also Peabody, Shag and One-Step. In the twenties bands began to play faster tempo music too fast for Foxtrot. The dancers danced a faster, bouncier dance, which included syncopations and Charleston movements called the Quickstep that was similar to Foxtrot. Eventually, the Foxtrot slowed down and was referred to as the Slow Foxtrot and the Quickstep retained a fast but smoother style, which was standardized in 1927 as an International standard dance genre. The Quickstep is sometimes considered a choice to any musical selection that is too fast for Foxtrot or that contains a swing rhythm. It moves briskly counter clockwise around the dance floor using runs, lock steps, quarter turns, hops, chasses and a syncopated rhythm. The dance continued to evolve into a smooth, elegant but quick tempo dance that broke into Charleston, shag movements and uses split beats. It is a high-energy dance often done in Dancesport. The Quickstep is included in the five International standard dances, the others being Waltz, Foxtrot, Viennese Waltz and Tango. It is often included in ballroom dance venues as a social dance. Dancers that enjoy faster tempo music or find the slow Foxtrot overly challenging sometimes prefer quickstep. 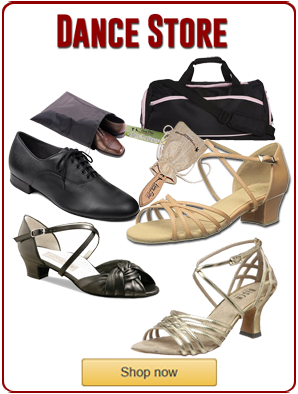 The Quickstep’s fusion of movements that include Charleston, shag and swing make it a great dance to do when a swing, Lindy hop, Charleston, East Coast swing, jitterbug or shag is played at a ballroom dance venue and there is adequate space to move around the dance floor. Quickstep routines have been performed to songs like Sing, Sing, Sing and Zoot Suit Riot by the Cherry Poppin’ Daddies. Along with the Viennese waltz, the Quickstep might be described as the closest thing to flying without wings since it looks as though the couple is flying across the dance floor.